This is my latest recipe. I have been crazy busy with my kids, so I have been really using my Instant Pot. First, cut your chicken into ½ inch pieces. Then season both sides of the chicken. Then pour the olive oil into your Instant Pot and press the saute button. Wait for a minute, until the oil is heated and then add your seasoned chicken. Saute the chicken, until it starts to change color, to show that it's cooking. It will not be cooked through. You are really just trying to get a nice outside on the chicken. Then add the onion and garlic, cooking for about 3-4 minutes, or until the onion shows that it's started to wilt. Add the chicken broth, peas, pepper and rice, mix well. 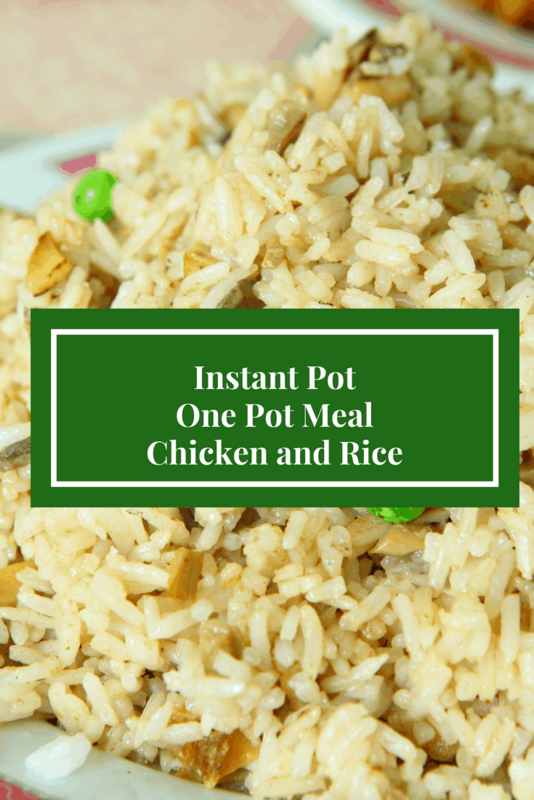 Then add the lid to the Instant Pot. Set the time for 10 minutes on manual high pressure. mix everything together and plate to serve.